One of the first purchases for any expectant parent is the book, ‘What to Expect When You’re Expecting’. It is a guide to help you as a mother or father to understand what happens during pregnancy. Unfortunately, a newly elected Worshipful Master does not have a similar guide to help him prepare for his year in the East. Trust me, I’ve looked. Serving my lodge as Worshipful Master should be one of the high points of my Masonic career. 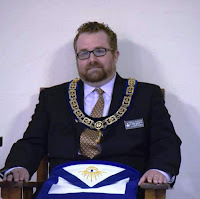 Since my election as Worshipful Master last month, I’ve been full of trepidation. I’ve been asking myself the below questions: Why am I so nervous? What if they (my brethren) don’t respect me? Should I step aside so someone more competent can do the job? I hope to answer these questions and more below. I really need to get my emotions subdued if I’m going to have a successful year in the East. Since there is no guide, I need to come up with one. Why am I so nervous? There are plenty of reasons for me to be nervous. We have a CLI (Certified Lodge Instructor) in our lodge, so I want to make sure that all the ritual is by the book. I’m going to be Master of a lodge that has a good mix of newer younger masons and older veteran masons. As you might imagine, sometimes there is a difference of opinions between these sets of Masons. I want to make sure there is harmony among the brethren. I’ve been a member of this lodge since November 2011. I know all of these brothers and they know me. I know the ritual. Sure I might swap a word here or there, but I’m pretty confident with it. There is no reason I should be nervous. Yes, I’m going to make some mistakes. It’s my first journey to the East. By the time I feel comfortable in the East, my time will be at an end. I just need to accept this and breathe. I need to relax and have fun! What if they don’t respect me? I need to realize that there is a mutual respect between all the brethren in my lodge. Several of them have mentored me throughout my masonic career thus far. I don’t want to let them down, but ultimately I might disappoint them. They might not like the goals that I’m setting for the lodge for the coming year. It’s okay if they don’t. They might have different ideas, goals, and aspirations than I. Some of their ideas might be better than my own. Our differences make us stronger as a fraternity. 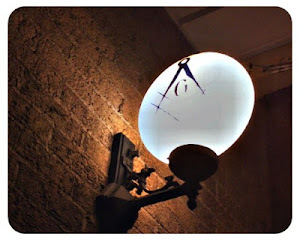 I realize that my time in the East is just a continuation of the masonic journey I’ve been on thus far. I have exchanged ideas and communicated with them just fine up until now, there should be no difference due to me being in the East. As long as I keep the lines of communication open, I will be fine. Should I step aside so someone more competent can do the job? No! My brothers elected me. They have the utmost confidence that I can do the job. I need to have the same confidence. I’ve already reached the realization that I’m not going to be perfect. I’ve realized that I might not be able to please all of them as Master, but that I should have an open dialogue with them. They have elected me because they believe that I’m ready. So if they believe in me, then I need to also believe in myself. I’m ready to serve this lodge as Worshipful Master. It would be more of a disservice to them if I stepped aside. So what am I missing? Oh yes, a mission statement. I need to summarize my goals that I’ve set out for my year as Master. This will make it easier to communicate my plan to the brethren without going over each goal individually. Let’s face it, we all have a short attention span. I don’t think all of the brethren will want to know all of my goals, and if a few of them do, they will ask me. Therefore, I present my mission statement. I want to make Saint Joseph Lodge a better place. A place for brothers and their families to spend time, and a better asset to the community. A place that men in my community want to join. I want to educate the brethren not only using traditional education, but also teach some of the esoteric meanings of the ritual as well. Lastly, I want to raise some funds by having fun. However, it still feels like I’ve forgotten something. Is it not taught that we as Masons should never commence any great or important undertaking without first invoking the blessing of Deity? The trust of a Mason is in God. We open and close our Lodges with Prayer. Prayer serves an important role during the initiation of our candidates. Is it not right and proper that I should pray to the Great Architect to bless my labors as Worshipful Master? Of course it is. That great lesson applies here, and I should have done this to begin with. My emotions would have been minimized had I followed that lesson. I’m going to need God’s help as much as my fellow brethren’s help to have a successful year in the East. 1. Relax and have fun! You’re not going to be perfect, but you’ll be okay. 2. Communicate and be open to listening. Exchange ideas with your lodge. 3. Believe in yourself! Your brothers believe in you. 4. Have a plan. A mission statement is a good way to set out your goals in a few sentences. 5. Most importantly, invoke the blessing of Deity always before undertaking any task as Worshipful Master. Your journey to the East might have been different, or maybe you’re still travelling East. Hopefully, you can use this guide to help you. I think it works for any step in your masonic journey. It’s too bad that it took me until I was going to be Worshipful Master to come up with one. I’m sure Greg Knott or Todd Creason will have a joke or two ready about that. WB Darin Lahners is the Worshipful Master of St. Joseph Lodge No.970 in St. Joseph and a plural member of Ogden Lodge No. 754 (IL), and Homer Lodge No. 199 (IL). He’s a member of the Scottish Rite Valley of Danville, a charter member of the new Illinois Royal Arch Chapter, Admiration Chapter U.D. and is the current Secretary of the Illini High Twelve Club No. 768 in Champaign – Urbana (IL). He is also a member of the Eastern Illinois Council No. 356 Allied Masonic Degrees. When he’s not busy enjoying Masonic fellowship, Darin spends his time as a DM for his children’s D&D campaign, reading, golfing, watching movies and listening to music. You can reach him by email at darin.lahners@gmail.com. For all Expecting Worshipful Masters... Tradition Prevailing, WB Lahner did a great job with this article and the list at the end. #4 Have a plan: This should include budget, agenda, new initiatives and always include your officers. The best thing I hope I accomplished as Master is preparing the other Officers for their upcoming duties. Senior Wardens should have their rough budgets and calendar done months in advance of their year. We are a group of equals working together, the WM just signed up to the most committees. Personal communication/meetings: Seriously, in the West for a year you should talk to every single officer at least once and all regular attendees on the same topics. #1 What do you like about Our Lodge? #2 What do you find to be the Lodge's biggest challenge? 3# What would you do to make the meetings better? 4# What do you think is my biggest weakness and strength? 5# If you were me what would be your focus for the year? Over Communication happens when someone talks about a rash or infection; never about how they feel about how we practice this Gentle Craft. 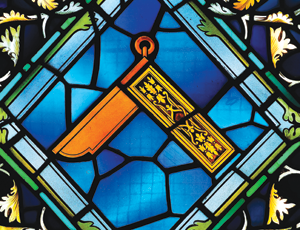 Where does the Junior Past Master sit in your Lodge?